Today MADRAP competes against its historic rivals from the nearby Williton club both in the County, Inter County postal leagues and shoulder to shoulder events. Minehead hosts all 50 metre shoots but venues for 25 yard events are shared between the two ranges. 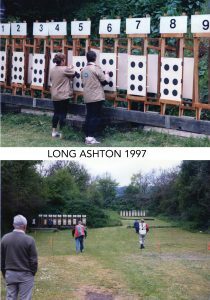 Members of the club also compete in competitions at other venues, such as Long Ashton, where distances of 50 metre and 100 yards are shot.